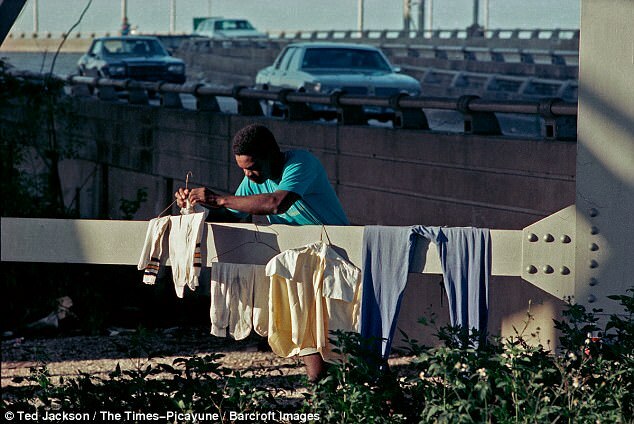 In June 1990, photographer Ted Jackson came across a half-naked man sleeping on a rusty box spring under a New Orleans bridge. The box spring was overlaid with cardboard and the man, clearly a victim of alcoholism and addiction was covered in a sheet of thick, clear plastic. After the man woke up, he and Jackson got to talking. The man reached for his copy of The Times-Picayunne and said: ‘Do you see this series y’all are doing, ‘The Real Life – Surviving after the NFL?’ You ought to do a story about me,’ he said again. 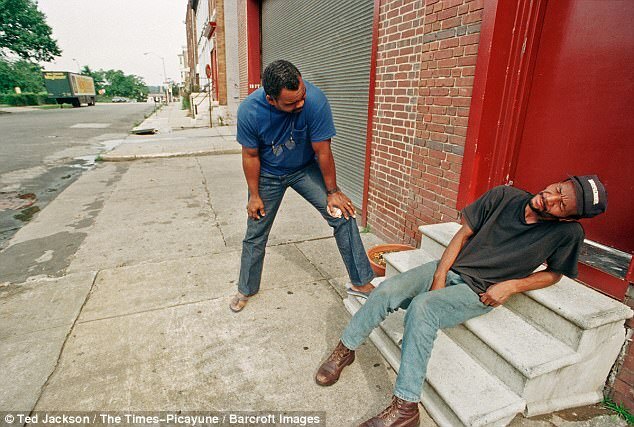 The man’s name was Jackie Wallace, then 39, who had played for the Minnesota Vikings, the Baltimore (now Indianapolis) Colts and the Los Angeles Rams before he was cut and went from the height of glory to rock bottom. A star at the University of Arizona, he was drafted in 1974 in the second round by the Vikings. 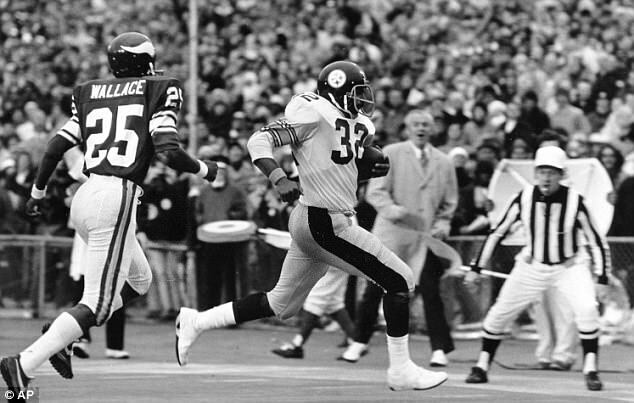 He was on the taxi squad for Super Bowl VIII and was a starter in Super Bowl IX. He went to the Colts and then the Rams in 1977. The next season, he led the NFL in punt returns (52) and punt return yardage (618). 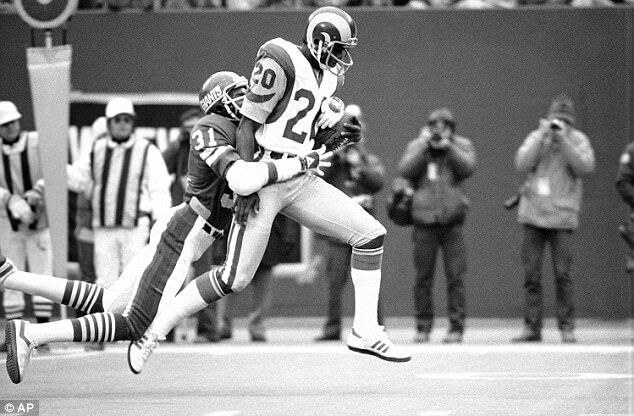 In 1980, the Rams took the field against the Pittsburgh Steelers in Super Bowl XIV, but eventually lost. Soon after, he started drinking. 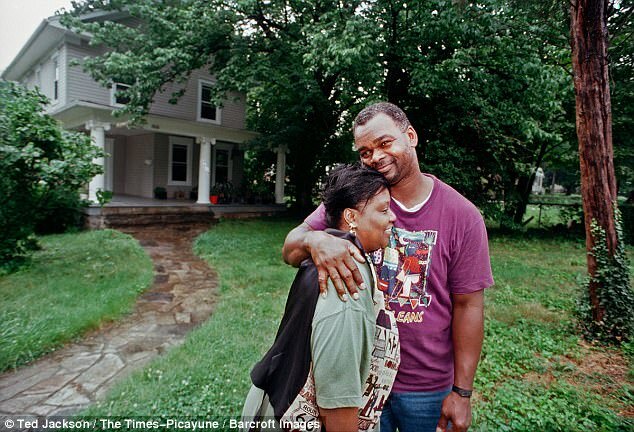 One year after his football career ended, there were two life-changing events: his mother died and his cousin introduced him to crack cocaine. This led Wallace down what he called the ‘vortex of darkness’. 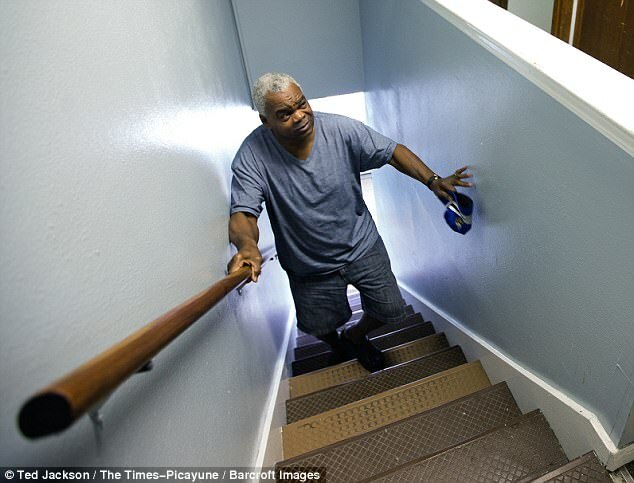 After eight years, Wallace ended up with no possessions, broke and homeless. He lived beneath the bridge where he was free to smoke up and hide from the outside world. His school alumni administration arranged for him to be admitted into rehab at Baltimore’s Tuerk House. He got clean on the 12-step program and found work as an ‘operational specialist’ on the change-over crew at the Baltimore Arena. Wallace then married Deborah Williams in December 1992. He stayed clean. followed the 12-step program and regularly attended meetings. But after 12 years sober, something snapped. ‘It was one day of me not taking care of myself,’ Wallace said. The next morning, he bough a Greyhound bus ticket and headed for New Orleans. ‘It only takes one slip, and I’ll end up right back where you found me,’ had told Jackson in 1995. Back in New Orleans, Wallace reverted back to his old ways. 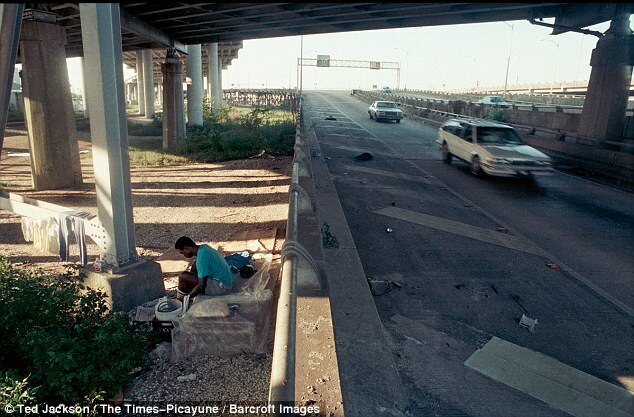 He didn’t go back to sleeping under the bridge but he did jump from one shelter to another. 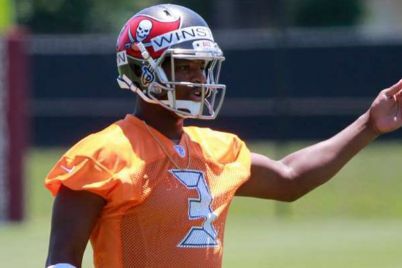 He said the dealers would give him drugs on credit and it was only because of his status as a former NFL player that he was spared from not paying money back in time. 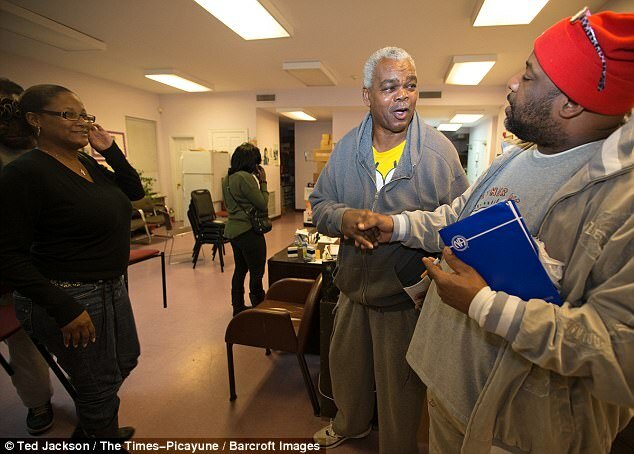 In 2008, Wallace was arrested and convicted on one count of writing bad checks and he was sentenced to treatment at Gateway Recovery in Harvey. However, the DA’s office soon discovered more bad checks that he had failed to disclose. Wallace was sentenced to seven years with the Department of Corrections. Then one year later, in February 2014, Wallace said he was sick of living month-to-month, of drugs taking all his money. As he saw it, there were three options left: recovery, jail or suicide. After contemplating the latter, Jackie returned to treatment at Gateway and completed the program. He was evaluated for mental health issues and received counseling. The staff reported that he made great progress but was highly susceptible to relapse. In February 2017, Wallace received a total hip replacement but continued to stay strong despite the pain medications he was on that have led so many addicts back to ruin. That also marked three years sober, for which he received a medallion. Just a few months later, Wallace fell back off the wagon. 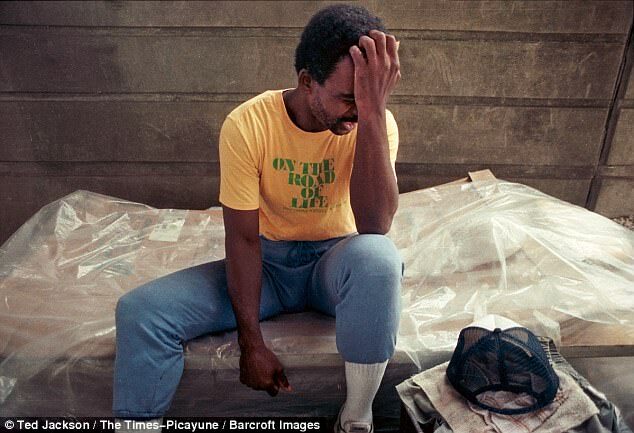 His girlfriend, Yolanda, told Jackson that he had cleaned out his apartment and that the ‘drug boys’ had gotten him. ‘They’ll keep him until he gets his NFL settlement,’ she said.